Crabapple Kitchen trip to Burgundy | 15,000kms of Food! Was at Friday Night Flights at Crabapple Kitchen for the trip to Burgundy. We googled the food of Burgundy before the night and we pretty much got Burgundy’s greatest hits for the dinner. It was amazing, as always! Great value for money, good wine and great service. 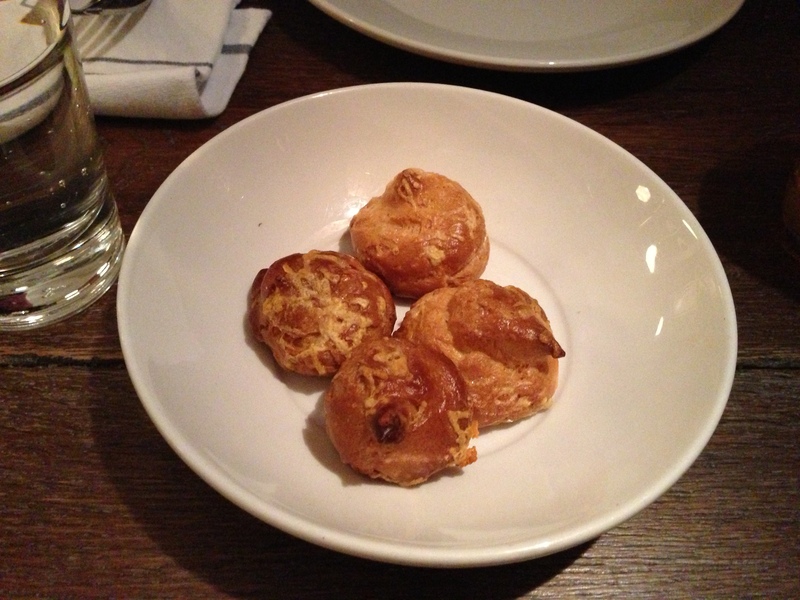 Started with delicious “Gougeres – little savoury golden choux pastry treats filled with cheese sauce” – puffy cheesy goodness. 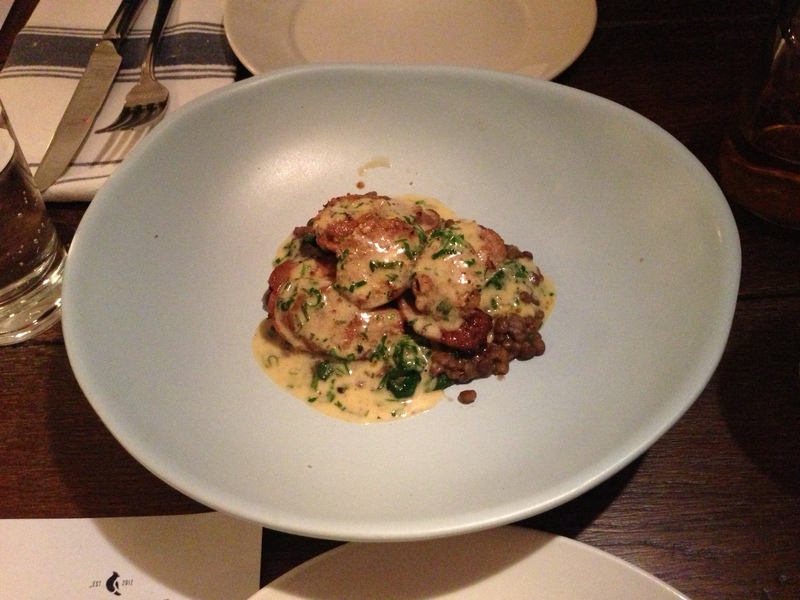 The “Beef & burgundy sausage with puy lentils, spinach, mustard sauce and parsley” was devine! Beautiful tender sausages with a mustard sauce and rich lentils. So good! 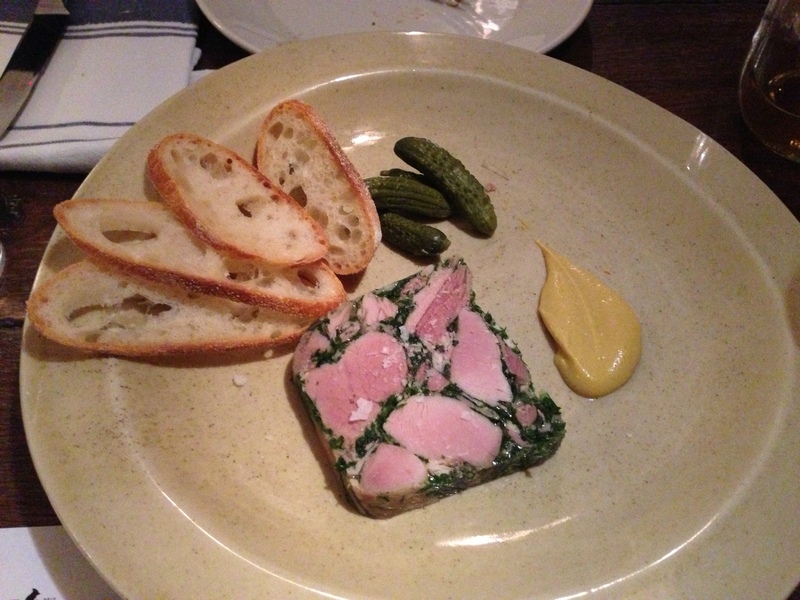 The “Jambon Persille – pork and parsley terrine served with cornichons and Dijon mustard” was a fresh and salty terrine. Different to most other terrine’s I’ve had, in that it wasn’t heavy or too rich. 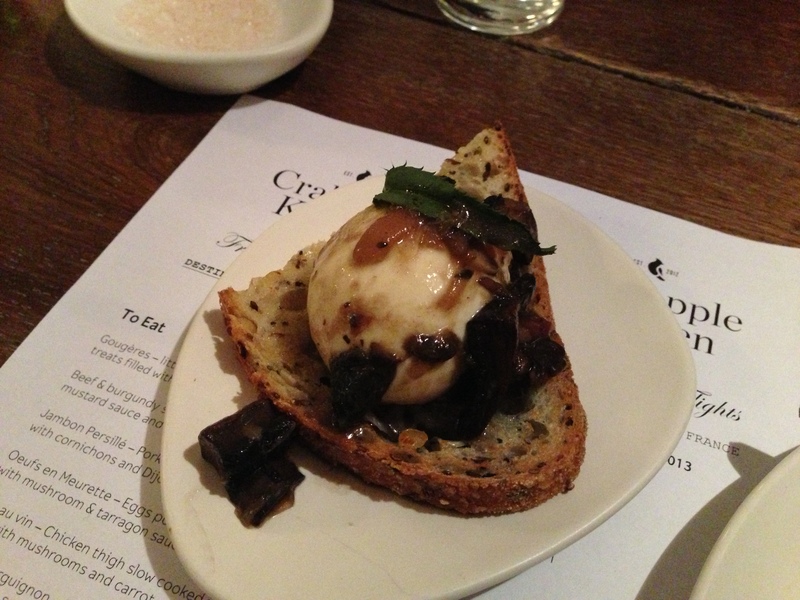 The “Oeufs en Meurette – eggs poached in a red wine with mushroom and tarragon sauce” was beautiful! Silky red wine sauce with a ridiculously rich taste. 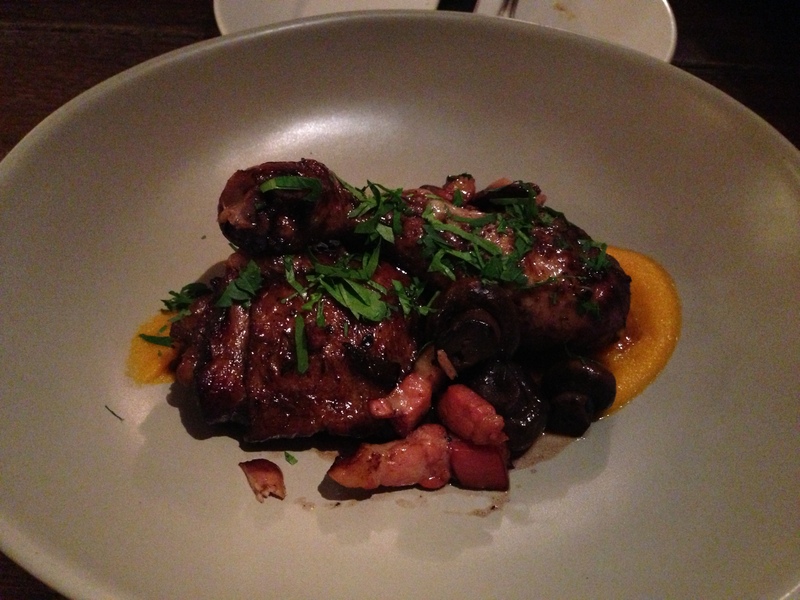 “Coq au vin – chicken thigh slow cooked in aromatic wine with mushroom and carrot puree” was very tasty and rich. Beautiful sticky glazed chicken…. Yum! 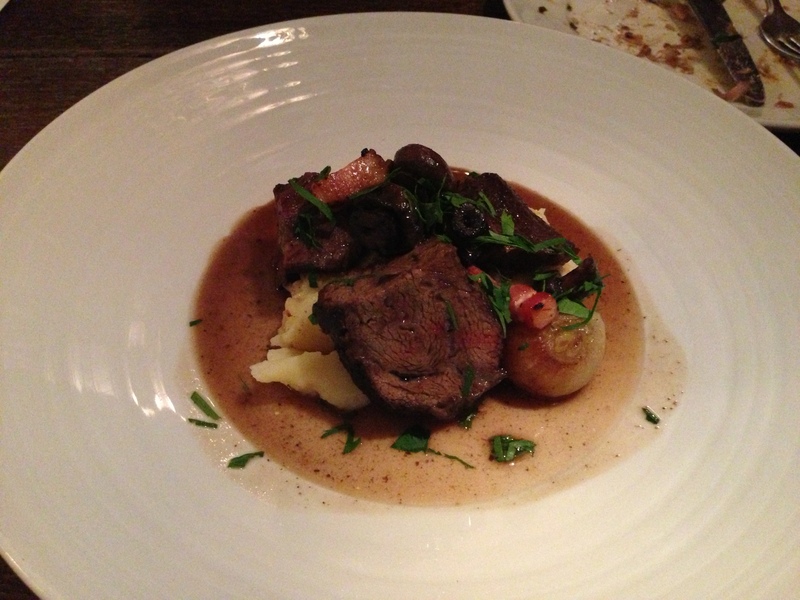 The old “Boeuf Bourguignon – Beef cheek with button mushrooms, smoked bacon, shallots and potato mash” was a lighter version than what I’ve previously had, but it packed a flavour punch and the beef was very tender. 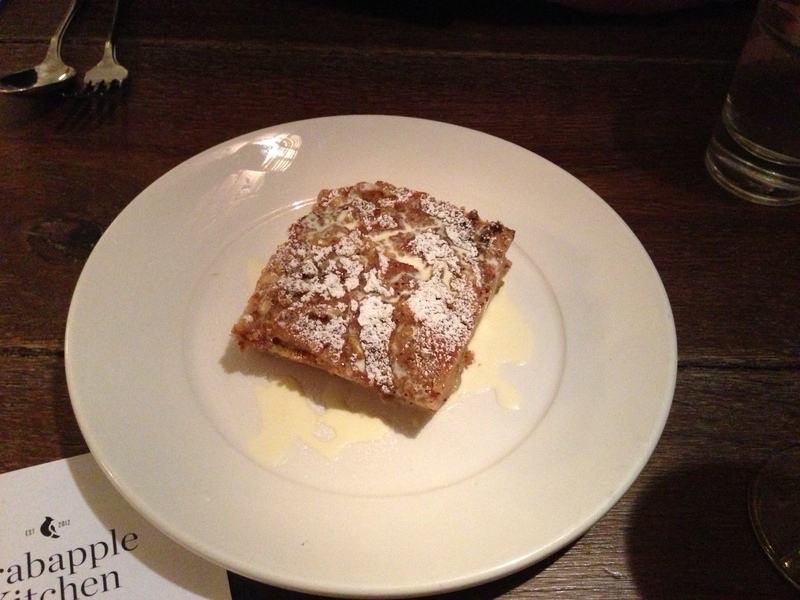 To end the meal, we had to have the “Rigodon-Brioche, hazelnut and cinnamon pudding with pouring cream” dessert which was buttery and light. Thank you Crabapple for taking me on such a wonderful culinary journey. Food was absolutely perfect and I felt like I was in Burgundy for the evening. Previous PostRemarkable dishes at SepiaNext PostCumulus Up… up and away!